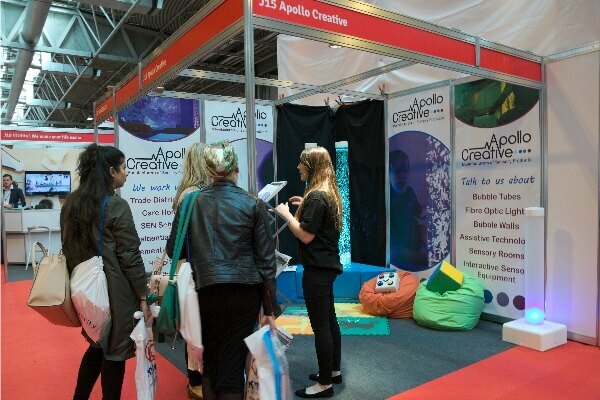 Jack, Paul and Casey from Apollo Creative made the trip to the NEC, Birmingham to exhibit at the independent care and living show, Naidex. The show took place over three days and was visited by thousands of different people who are associated with disabled living. 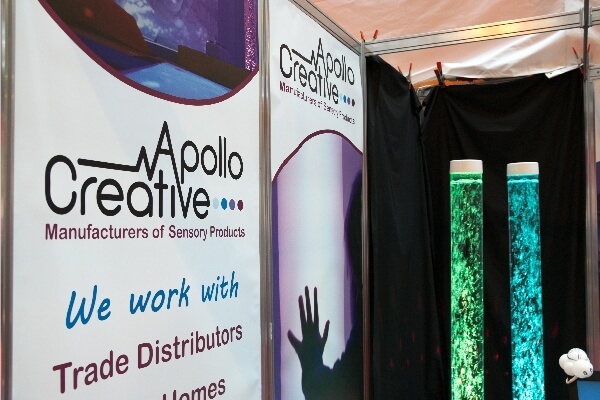 We wanted to showcase our range of sensory equipment that is manufactured on-site in our UK-based facility. Having a chance to talk and network people is something the Apollo Creative team always enjoy and Naidex provided the perfect platform to do so. The show was a great success and as we met new prospects as well as familiar faces on our sensory stand. 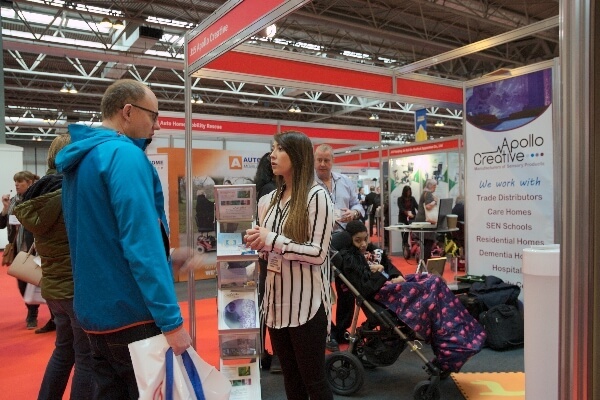 Naidex was a huge event that not only attracted the crowds but speakers as well. One of the highlights was Paralympian Simon Munn who is part of GB Men’s Wheelchair Basketball Team. Having recently made his seventh appearance at the Rio 2016 Paralympic games, Simon gave an inspirational talk about how wheelchair basketball and being involved in sport has provided him with both personal and professional opportunities throughout his long-playing career. We would like to thank everyone who attended and came to our stand at Naidex 2017. It was great to meet lots of peers working in the disabled living sector. We look forward to the next show! People across the UK got involved and raised money for charity by supporting world Autism Week at the end of March/beginning of April. Promoted by The National Autistic Society, the UK wide event saw schools get involved with raising money in different ways, from baking cakes to fun runs! 1 in 100 people have autism in the UK so it is important that people are aware of autism and can understand it when they face it in their day to day lives. This prevents autistic people from being socially isolated and for people to empathise and accept that autism is all around them. That’s all from us this week. Next time we’ll take a look in detail at some specific sensory equipment and the range of benefits they can give to people. Stay tuned.